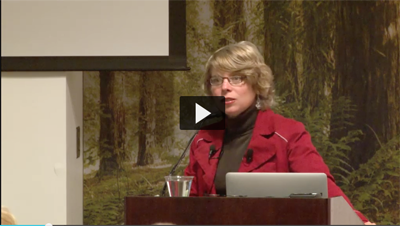 Jill Lepore, the David Woods Kemper '41 Professor of American History at Harvard University, is a staff writer at The New Yorker. Her books include Book of Ages: The Life and Opinions of Jane Franklin (2013). Benjamin Franklin famously wrote the story of his life, the story of a printer's apprentice who ran away to become a statesman and a scientist. 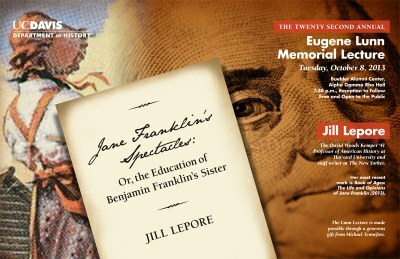 In this illustrated lecture, Lepore told the story of Franklin's long-forgotten sister, Jane, and meditated on what it means to write history not from what can be found, but from what has been lost.